Hempstead, NY - August 31st, 2015 - Third Squad detectives report the details of an arrest for a robbery that occurred in Hempstead on Sunday, 08/30/15 at 5:08 P.M. According to detectives, Rashawn Galloway, 17, of Whitson St., Hempstead, while on Fulton Ave./Cathedral Ave., approached a male victim, 27, grabbed him by the neck and took his gold chain. The defendant fled the scene. 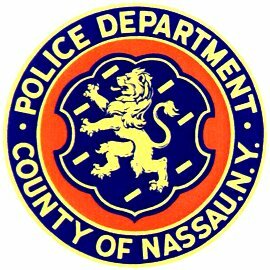 The victim came upon Hempstead police officers, who then canvassed the area with assistance from the Nassau County Aviation Bureau and Bureau of Special Operations police officers. The defendant was located in the area a short time later. Galloway is being charged with Robbery 2nd Degree and will be arraigned on Monday, 08/31/15 in First District Court, Hempstead. Subject: LongIsland.com - Your Name sent you Article details of "Hempstead Teen Arrested for Mugging"